Employers’ “zero tolerance” policies for drug use are becoming increasingly problematic in the face of new laws legalizing the use of marijuana for social and medical purposes. In the case of Noffsinger v. SSC Niantic Operating Co. d/b/a Bride Brook Nursing & Rehab Center, a federal court in Connecticut found that an employer was liable for discrimination when it revoked an offer to a candidate for employment when she tested positive for marijuana use. Plaintiff Katelin Noffsinger accepted a job offer as an activities manager from the defendant nursing home company. She was told that the offer was contingent on her passing a drug test. Noffsinger told the company that she was qualified under the Connecticut Palliative Use of Marijuana Act (PUMA) to use marijuana to treat her post-traumatic stress disorder caused by a car accident. After her drug test came back positive for THC (an ingredient of marijuana), the company rescinded the job offer. [U]nless required by federal law or required to obtain funding: . 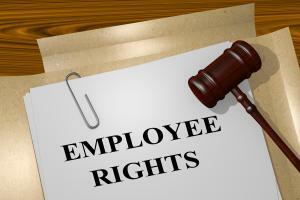 . . (3) No employer may refuse to hire a person or may discharge, penalize or threaten an employee solely on the basis of such person’s or employee’s status as a qualifying patient…. Nothing in this subdivision shall restrict an employer’s ability to prohibit the use of intoxicating substances during work hours or restrict an employer’s ability to discipline an employee for being under the influence of intoxicating substances during work hours. Noffsinger told the employer that she only used the drug in the evenings, outside of work hours. The employer argued that federal Drug Free Workplace Act (DFWA) barred it from hiring Noffsinger. The DFWA requires federal contractors like defendant to make a “good faith effort” to maintain a drug-free workplace by taking certain measures, such as publishing a statement regarding use of illegal drugs in the workplace and establishing a drug-free awareness program. However, the DFWA doesn’t require drug testing. It also doesn’t prohibit contractors from employing anyone who uses illegal drugs outside the workplace – let alone those who use medical marijuana in accordance with a program approved by state law. Thus, the judge rejected the employer’s argument. However, the court didn’t find that the defendant engaged in any unreasonable conduct that would support the plaintiff’s claim for negligent infliction of emotional distress. Not every state’s marijuana law has an anti-retaliation provision like Connecticut’s law. It’s important for employers to know the marijuana laws in each state where they have employees. Even in states without an anti-retaliation provision, the duty to accommodate disabilities may conflict with the desire to prohibit employees from using marijuana, even when off-duty. Employers with a zero tolerance policy that extends to off-duty use need to rethink whether they can defend a policy of refusing to accommodate what might otherwise be lawful marijuana use under state law.